The uOttawa Sport and Exercise Medicine program is a one year clinical fellowship for Sport and Exercise postgraduate residents. It is designed to build the core competencies set out by the Fellowship Committee of the Canadian Academy of Sport and Exercise Medicine (CASEM), including the knowledge, skills and attitudes that are essential to master. Residents sit the CASEM Diploma in Sport Medicine examination after successfully completing the year. Fellows will have a hand at designing their curriculum, which gives the flexibility to master the essential competencies and gain some enriched ones. Our curriculum is based on 13 blocks of 4 week rotations with some horizontal rotations. Fellows must do a minimum of 50 hours of documented supervised event coverage, as it is a prerequisite to take the CASEM Diploma examination. Game and event coverage may include varsity sports (hockey, football, soccer, rugby, others), Ottawa Red Blacks CFL, Ottawa Fury FC, Ottawa 67s OHL, Ottawa Senators NHL, Ottawa Marathon, national sport team coverage and other local, provincial, national and international events. Musculoskeletal physical skills development (PSD) medical student tutor Lectures to medical students and the Sport Med Interest Group at Ottawa U Participation in Academic Day teaching for Family Medicine residents. Fellows will get involved with Carleton Sport Medicine Rounds, Sports Medicine Journal Clubs, Champlain LHIN Primary Care Digest submissions, research projects, CASEM Diploma in Sport Medicine preparation and readings, along with specialty rounds. Eligible for full educational/independent practice license in the province of Ontario. We are funded under the PGY-3 Enhanced Skills Program in the Department of Family Medicine. However, we will consider funding from alternative sources such as Royal College Programs (psychiatry, emergency medicine, pediatrics, etc.) and return for service agreements through the Ministry of Health. Dr. Hacking currently has a Family practice and Sports Medicine practice in Kingston, Ontario and also works as an Emergency physician in Napanee. She has been the head team physician for the Kingston Frontenacs OHL hockey team since 2003. 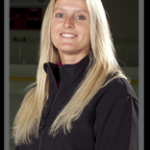 She also works with Hockey Canada as one of the team physicians in the Women’s program and has done so since 2005 travelling to various events and World Championships with the U18, U22 and Senior teams. The newest challenge is being a hockey mom for her 2 boys! Dr. Taylor attended the University of Western Ontario and received a BA in Kinesiology and an MSc in Sport Medicine (advisor Dr. Peter Fowler). She then completed medical school 2004 & residency in family medicine 2006 at the University of Ottawa followed by a Primary Care Sport Medicine Fellowship (PGY3). She is currently the co-owner & medical director of the Carleton Sport Medicine Clinic caring for the varsity athletes and she assists Dr. Andrew Marshall (Orthopaedic Surgeon) in the operating room at the Montfort Hospital. Dr. Taylor is actively involved in medical student, resident and fellow education. 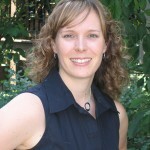 She has been on the Executive of the Ontario Medical Association Sport & Exercise Medicine Section since 2005 and is an active member of the Canadian Academy of Sport & Exercise Medicine (CASEM). Dr. Taylor was the VMO for the FIFA Women’s World Cup 2015 and has worked with Hockey Canada, Soccer Canada, Rugby Canada, Softball Canada and Skate Canada. She has been on the medical team for the Ontario Summer/Winter Games, Canada Games, FISU Games, Pan Am Games and Olympics Games. Dr. Taylor has a special interest in research and currently has the role of research advisor for resident projects in the PGY3 Sport Medicine Fellowship Program. She has a special interest in concussion management and currently offers computer based neuropsychological testing (IMPACT) to the varsity athletes and to the community and holds an adjunct position in Neurosciences at Carleton. 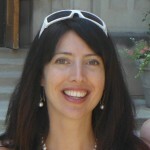 She is a member of the Canadian Concussion Collaborative (CCC) and contributed to the Pediatric Concussion Guidelines. She also has a keen interest in ACL prevention and has assisted in the development of an ACL prevention program at Carleton University while being an author on CASEM’s position paper supporting such interventions. She enjoys continuing education and the opportunity to develop as a sport medicine physician by gaining knowledge from her highly esteemed colleagues and the allied health care professionals in a variety of disciplines. MJ is currently practicing a mix of Family Medicine and Sport Medicine in Ottawa. She used to also be involved in Cardiac Rehab at the Heart Institute in Ottawa. 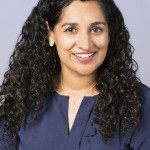 She is actively involved in MSK teaching for both medical students and Family Medicine residents and is an Assistant Professor in the Department of Family Medicine at the University of Ottawa. She is also involved in event coverage including the 2010 Olympic Games in Vancouver, the 2011 Pan-American Games in Guadalajara, Mexico, the 2012 Paralympic Games in London, UK and 2014 Winter FISU Games in Grenada, Spain, as well as multiple local events. She is currently Team Physician for the National Men’s Volleyball team as well as University of Ottawa Gee Gees Women’s Hockey team. After graduating and successfully writing the CASEM exam, I was posted to CFB Borden as the Base Surgeon. The following year I was deployed for most of 2012 as the Senior Medical Advisor for the Residency Development Program at the National Afghan Military Hospital in Kabul. I returned in time to be posted to Germany for three years as the Commander of the medical detachment in Geilenkirchen. I was then promoted to my current rank of Lieutenant-Colonel and posted to the Canadian Forces Health Services Group Headquarters in Ottawa. I continue to practice sport medicine at the Montfort (where Patrick works as well), as well as family medicine and public health (I am Section Head of the Communicable Disease Control Program within the Directorate Force Health Protection). 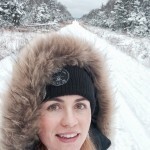 After completing my sport and exercise medicine fellowship at the University of Ottawa in 2010 I began practice doing family medicine and emergency medicine locums in rural northern Ontario. I then completed a 0.5 year Emergency Medicine mentorship program offered by the Ontario MOH to enhance my emergency medicine practice skills. I continued to do rural emergency medicine locums providing emergency medicine shift coverage for underserviced northern communities until 2012 when I transitioned to family medicine and emergency medicine coverage in Barry’s Bay, ON. In 2013 I began to work for the Canadian Forces here in Ottawa providing family medicine & urgent care services. In 2014, along with Orthopaedic and Physiatry clinicians, I helped start a sports medicine clinic for the Canadian Forces where I am privileged to continue to work to provide evidence based sport & exercise medicine care for our country’s military members. After completing my year in Spots Medicine at the University of Ottawa, I went on to work in various clinics around town in Sports and Emergency Medicine. Currently I have a practice at the Nepean Sports Medicine and Physiotherapy Centre. In addition to my work in Sports Medicine, I work part time in the Military with the Ottawa Detachment of the Canadian Field Hospital and in Emergency at the Renfrew Victoria Hospital. I am currently in the process of moving to Sioux Lookout to practice rural Family medicine. In addition to family practice, I will be providing a sports clinic in town and working in the Fracture clinic with videoconference backup from the Orthopaedic surgeons in Thunder Bay. 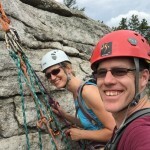 Besides my work in Sports Medicine, I am actively in involved in the Alpine Club of Canada participating in outdoor activities including hiking, cross country skiing and ice and rock climbing. Dr. Curran completed her undergraduate degree in Biology at Queen’s University and medical school at Dalhousie University. She did her Family Medicine residency and Sport Medicine Fellowship at the University of Ottawa. She has worked with various varsity teams at Carleton, including Men’s and Women’s Soccer and Women’s Basketball. She is currently the team physician for the Men’s Football team. 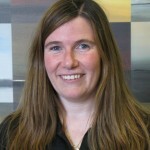 She has worked at various local events, including the Ottawa Race weekend, Women’s World Hockey Championships, and Skate Canada National Figure Skating Championships. Dr. Curran has been a team physician with the Canadian Women’s National Basketball program since 2011. 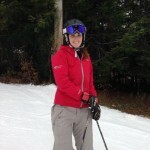 She has also worked with the Canadian Men’s National Ski Team. She has been a part of the medical team for the 2013 Summer Universiade, 2015 Winter Universiade, 2015 Pan American Games, and 2016 Summer Olympic Games. Dr. Boudreau earned her medical degree and pursued her family medicine residency, both through the University of Ottawa. 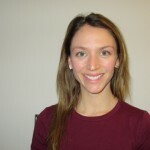 In 2011, she returned to her studies to complete her Sport and Exercise Medicine fellowship through the University of Ottawa’s Enhanced Skills Program (PGY3). During her fellowship, she provided medical coverage for the University of Ottawa women’s rugby team, as well as other local sporting events. Since then, Dr. Boudreau has been practicing sports medicine and is an active member of the Canadian Academy of Sports and Exercise Medicine. She also enjoys providing surgical assistance in orthopedic and general surgery at the Montfort Hospital, as well as orthopedic surgery at the Ottawa General Hospital (Civic Campus). She continues to teach MSK skills to medical students, as well as residents from the University of Ottawa. Dr Boudreau has been a member of the organizing committee for the OCFP’s Annual Scientific Assembly since 2006, was Scientific Chair in 2016 and is Chair for the 2017 conference. Dr. Boudreau played competitive tennis and continues to have a keen interest in tennis medicine. She has been providing medical coverage for the ITF Men’s Futures in Gatineau, Quebec since 2014. 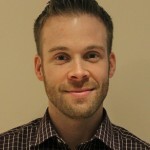 Dr. Bradley is a primary care sport medicine physician at the Carleton University Sport Medicine Clinic. She completed a Bachelor of Health Sciences at McMaster University and finished medical school and a residency program in Family Medicine at the University of Ottawa. She completed fellowship training in Sport and Exercise Medicine and received the CASEM diploma in Sport Medicine. 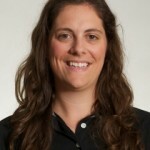 She is the team physician for the Carleton University Varsity Women’s Rugby and Basketball teams and has worked as team physician for the National Sledge hockey team and the Ottawa Fury. Dr. Bradley has covered many local, provincial, national and international sporting competitions. She is currently Secretary / Treasurer of the Ontario Medical Association’s Section on Sport and Exercise Medicine and chair of the communications committee of CASEM. Dr. Bradley is interested in teaching and research and is involved in both of these endeavours as a member of the faculty at the University of Ottawa Family Medicine Department. Dr. Bradley has an interest in social media and is involved in website development and social media at the Carleton Sport Medicine Clinic, the OMA Sport Med Section and CASEM. She also has a particular interest in the mental health of athletes at the varsity and National level. I am a one of two sport and exercise medicine physicians practicing in St. John’s, Newfoundland. I completed medical school (2006-2010) and family medicine (2010-2012) at Memorial University of Newfoundland (MUN) and I completed my fellowship in SEM at the University of Ottawa (2012-2013). I obtained my diploma in SEM in 2013 and my Certificate of Added Competence in 2015. I started the first sport medicine practice in St. John’s and have been building my practice since starting in 2013. My current practice consists of about 60% SEM and 40% family medicine in which I do locums. I have also been working with orthopaedics through an injection clinic and am teaching at the MUN medical school as an associate professor. Although I have not travelled with many teams since completing my fellowship I have been working with local teams including MUN varsity teams, ultimate frisbee and boxing. I’m currently enjoying maternity leave with my wonderful little Charlie (he’s 5 months old now!) but prior to that I was working full time as an ER physician at Royal Columbian Hospital, and using both my Sports Med and ER skills working in the Whistler Emergency Room. I was also doing locum Sports Medicine work at Fortius Sport and Health and continue to help out with Alpine Skiing World Cup and Alpine Canada. Amandev obtained her BHSc and MSc degrees at McMaster University before attending Queen’s University for medical school. She then completed her family medicine residency at the University of Toronto before attending the University of Ottawa Sport and Exercise Medicine fellowship. During her fellowship, she provided coverage for the University of Ottawa women’s soccer team and the Carleton University women’s ice hockey team. Amandev currently practices sport and exercise medicine at Pivot Sport Medicine and Orthopaedics and family medicine in the Toronto area. She has also had the opportunity to provide event coverage for Skate Canada, the FIFA Women’s World Cup, Pan Am Games, Para Pan Am Games and Soccer Canada. She is a member at large on the OMA’s Section for Sport and Exercise Medicine. I completed the Sport and Exercise fellowship in Ottawa and moved to Iqaluit, Nunavut for my first year of practice. During this time, I endeavoured to start a MSK clinic to reduce the non-surgical referrals to Orthopedics. I travelled to remote communities in the high arctic and reviewed Orthopaedic referrals and successfully cut down on 40% of the referrals which meant patients avoided long trips to Iqaluit and Ottawa for assessment. While in the Arctic, I worried that I would lose my sport medicine skills but was proven wrong with time. I became the “MSK specialist” and became the go to consultant for hunters who were the sole providers for the families and managed a variety of injuries so that people could continue staying active on the land. It was incredibly rewarding work and has changed my career path forever. After my first year of practice in the Arctic, I followed my partner to Victoria B.C. where I now have the privilege of seeing and treating many national athletes. I am looking forward to becoming more and more involved in the sport medicine culture on the West Coast while continuing to build a relationship in the north. My plan for the future is to have quarterly MSK clinics in Nunavut and to eventually start a fracture clinic, something which the Baffin region would greatly benefit from. I highly recommend the Ottawa Sport Medicine Program. They have given me the skills, knowledge and above all, support to take on these endeavours. Born and raised in Ottawa, Dr White attended the University of Ottawa and received a BSc in Human Kinetics and an MSc in Neurosciences. He then attended the University of Toronto to complete his undergraduate medical education before returning home to complete his residency in Family Medicine in 2014. This was followed by a fellowship in Sports and Exercise Medicine at the University of Ottawa, which he completed in 2015. Dr White has already worked on the medical teams for major international competitions including the 2015 FIFA Women’s World Cup and the 2015 Pan American Games. Locally he has worked with the Varsity programs at Ottawa and Carleton University and is currently a team physician for the Ottawa 67’s. Dr White has played several competitive sports including hockey and baseball. He has completed over 15 triathlons and currently enjoys skiing, golfing and running. He currently practices Family Medicine as part of the Nepean Family Health Organization and Sports Medicine at Optimize Physiotherapy & Sport Medicine. Jody attended Queen’s University where she received both a Bachelor of Science and a Bachelor of Physical and Health Education. She then attended the University of Ottawa for her Undergraduate Medical Education and returned back to Queen’s to complete her residency in Family Medicine. She completed her Residency in 2008, adding an additional few months of enhanced skills in ICU/anesthesia. From 2008 to 2015 she worked as a Family Physician in the small town of Almonte, Ontario. Her work involved private practice, emergency department shifts, inpatient care, newborn care, surgical assisting and long term care. In 2015 to returned back to the University of Ottawa to complete the Fellowship in Sport and Exercise Medicine. She has since returned back to Almonte and her general practice, adding a Sport Medicine Clinic in Almonte General Hospital. Her Sport Medicine practice involves a focus on ultrasound guided injections and minor fracture management. 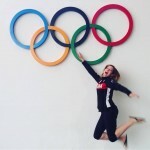 She is also practicing Sport Medicine at the Sport Medicine Centre in Kanata, Ontario. As of September 2017 Jody will be moving to the Cayman Islands to practice sport Medicine abroad. After completing Medical School at the University of Montreal and a Family Medicine residency at McGill University in 2015, Dr Rochette Gratton completed a PGY3 Fellowship in Sport & Exercises Medicine at the University of Ottawa in 2016. 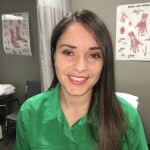 Following the fellowship, she began working in three different Sport Medicine Clinics in Quebec: Centre de Médecine Sportive des Laurentides (St-Jérôme), Centre de Médecine Sportive de Laval (Laval) et Santé Universelle (Gatineau) focusing mainly on Sport Medicine with some Family Medicine. She participates in the teaching of Residents and Medical students and continues to be involved in research at the University of Montreal. During her Fellowship, she worked with the women’s rugby team at UOttawa and Women’s hockey team at Carleton University. Since she completed the Fellowship, she has covered many events including Ironman & Ironman70.3 Mt-Tremblant, Canadian road championships (cycling), Diving (Canada Cup), and Tennis (International ATP Challenger). Dr. Keith Morgan is a 2016 graduate of the University of Ottawa Family Medicine program. 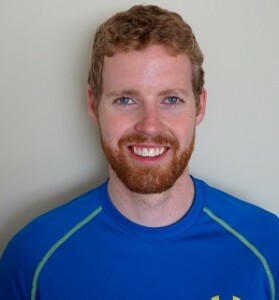 Following Family Medicine, he completed a fellowship in Sport and Exercise medicine at the University of Ottawa in 2017 and now holds the Diploma in Sport and Exercise Medicine from the Canadian Academy of Sport and Exercise Medicine (CASEM). He is originally from Calgary but spent over 20 years in Montreal training at the National Judo Centre while competing for Canada in 4 consecutive Olympic games in the sport of Judo. He was one of Canada’s most successful Judo athletes and was inducted into the Alberta Sport Hall of Fame in 2015. While in Montreal, he also completed his undergraduate degree at McGill University in Anatomy and Cell Biology. He graduated from Ross University School of Medicine with highest honors before returning to Canada to complete residency. He currently lives in Ottawa with his wife and 3 children. 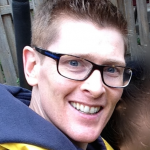 From Oakville, Ontario, Ryan earned an undergraduate degree in Human Kinetics and graduate degree in Nutrition, Exercise and Metabolism at the University of Guelph, completed medical school at the University of Calgary, and went to Queen’s University to complete his residency in Family Medicine. He came to the University of Ottawa to do his fellowship training in Sports Medicine and ultimately acquired his diploma in Sport Medicine with the Canadian Academy of Sport Exercise Medicine. During the fellowship he worked with women’s rugby and soccer at uOttawa and women’s hockey at Carleton. Ryan has done medical coverage for events including Skate Canada, Red Bull Crashed Ice, the 2017 National Track and Field Championships, and the Canada Summer Games 2017 in Winnipeg. 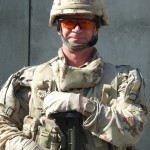 He currently has a mixed practice of sport medicine, family medicine, surgical assisting and military care.